School's out for the summer, and we have just the thing to cure summer boredom! It involves making a stand, literally, for clean water in Africa! 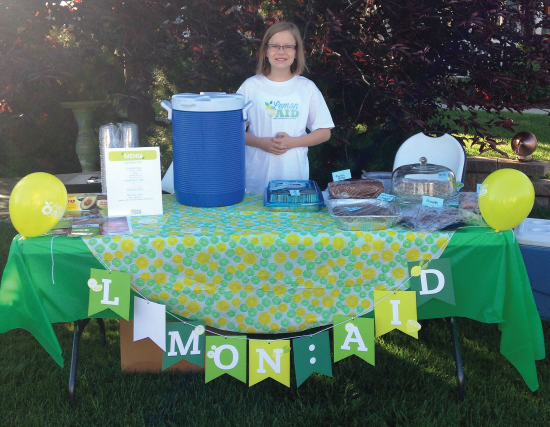 A Lemon:Aid stand is the perfect way for your kids to make a difference and have fun while they’re at it! By selling lemonade and donating the money they earn, your kids will not only quench the thirst of someone in their neighborhood but also the thirst of kids halfway around the world in Africa. Getting started is easy! Simply download your Lemon:Aid kit or order a kit from the Blood:Water store to be delivered to your home. (You only pay the cost of shipping!) In this kit you will find materials to have the best Lemon:Aid stand ever including instructions, a banner, stickers, and more! Best of all, every dollar your kids raise in 2016 will be matched. That means that their efforts and their donations will be doubled! We want to see your Lemon:Aid pictures, so be sure to tag us in your photos on social media!